It’s always difficult to decide how much you should save and how much you should invest. The answer varies on the different stages of life. The investing strategy of a 22-year-old need not to be same as that of a 60-year old. But, how much you should actually invest in different assets at the particular stage of your life? There is no single answer to this question and there can be multiple correct answers. However, it this post I’m going to suggest you one of the easiest asset allocation method, known as the 100 minus your age rule. This rule is quite old and is based on the basic principle of investing which says that you should reduce the risks as you get older. The logic is simple. When you are old, you will have lot more responsibilities and expenses compared to when you’re young. For example, if you’re at 58, you might be worrying about the retirement fund, retirement home, higher education of your kids, marriage of your daughter/son etc. On the contrary, when you are young, you do not have much expenses or responsibility. That’s why it is said to take more risks when you are young. 100 minus your age rule is based on the same principle of minimizing risks as you grow old and simplifies the asset allocation depending on the stage of your life. Also read: What is the minimum money I need to start stock investing in India? How ‘100 minus your age’ rule works? 100 minus your age rule states that the percentage(%) of allocation of your wealth in equity (stocks or mutual funds) should be equal to the 100 minus your age. The rest amount should be allocated in safe funds like savings, fixed deposits, bonds etc. You can notice here that as you approach an age of 100, the risks are totally zero. Moreover, please do not argue what about those whose age is above 100. 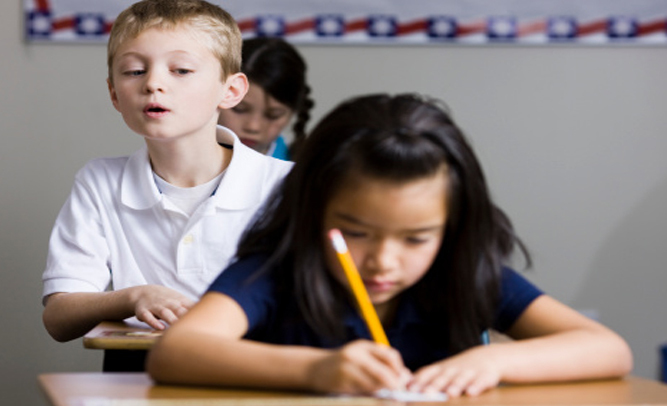 Do you really think that they will be in a position to make investment decisions at that age? 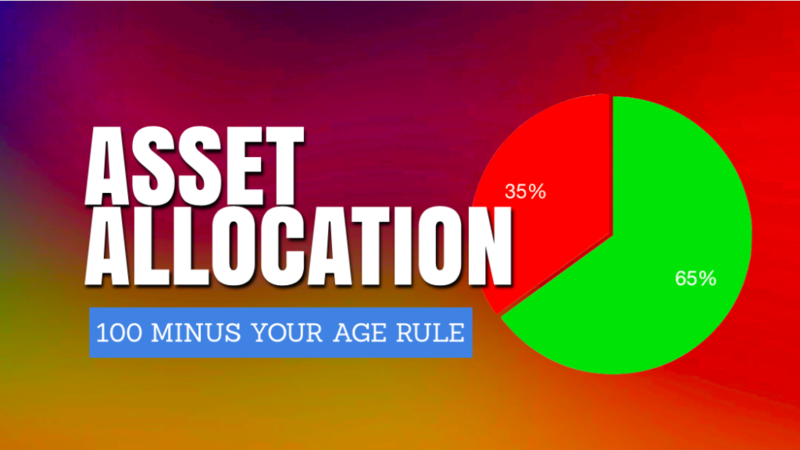 Although this ‘100 minus your age rule’ make quite a sense for the asset allocation, however, there are few drawbacks of using this rule. For example, from the last few decades, the life expectancy of the people are increasing. This means that you can stay invested in the equity (and take more risks) for few more years now. Further, at any time, the asset allocation by an individual depends on the person’s financial situation. For example, if you have a large family with dependants on you, then you might not be willing to take many risks, even if you’re young. The ‘100 minus your age rule’ doesn’t takes care of the financial situations of the people. 100 minus your age is a simple, yet effective way to easily allocate assets depending on the particular stage of your life. However, while deciding the asset allocation, you should also keep in mind your priorities and financial situation. That’s all. I hope it post is useful to the readers. Happy Investing. 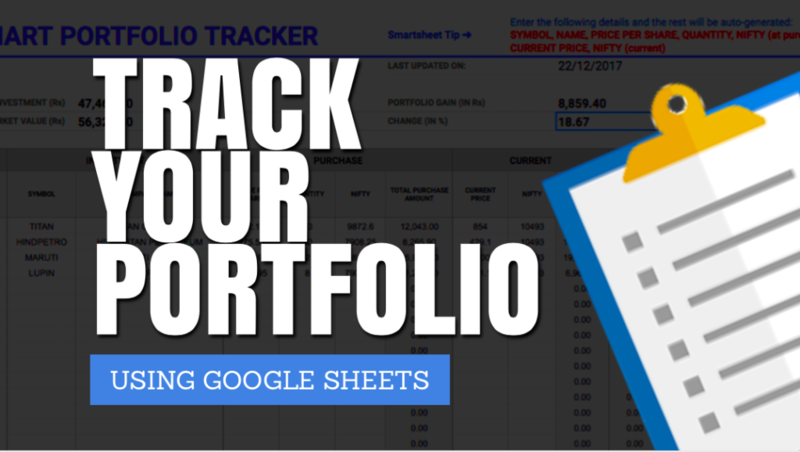 How to Use Google Alerts to Monitor Your Portfolio? 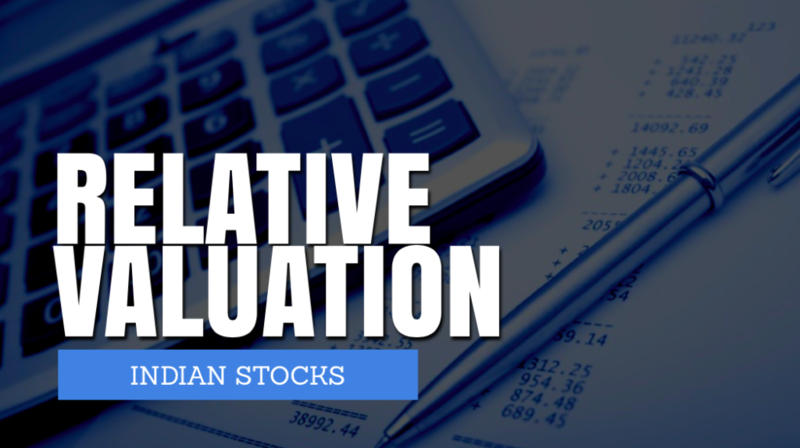 Regularly monitoring the stocks in your portfolio is as important as picking good stocks. 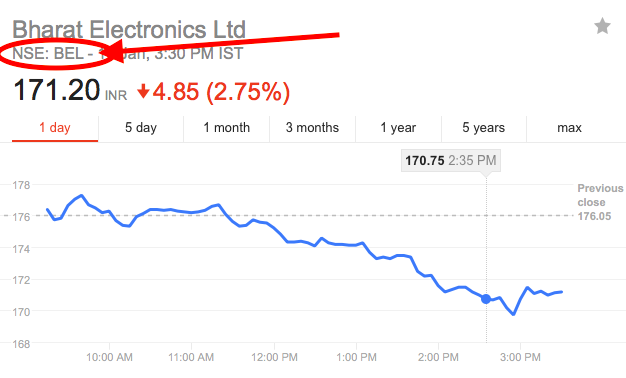 Many a time, the stock undergoes drastic price movement due to a sudden news or change in the company’s fundamental. 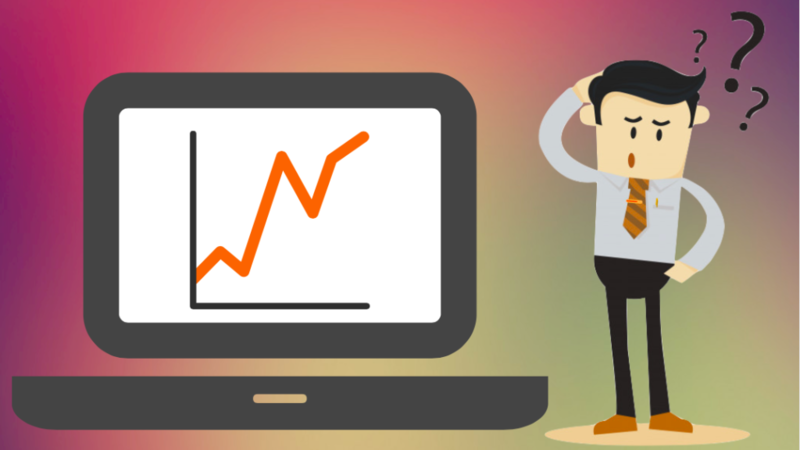 And if you are not monitoring your portfolio regularly, then you might have to book heavy losses. 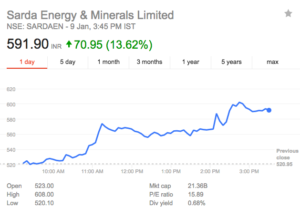 I also explained how Google alerts can be a very powerful tool for monitoring your stocks. 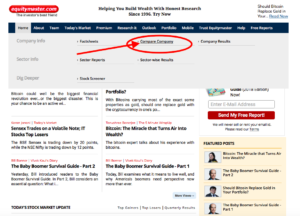 In this post, I’m going to explain how you can make your life as an investor very simple by using google alerts. 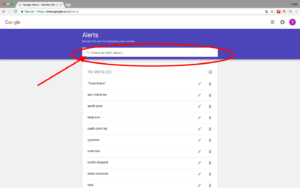 Google Alerts is a content change detection and notification service, offered by the search engine company Google. 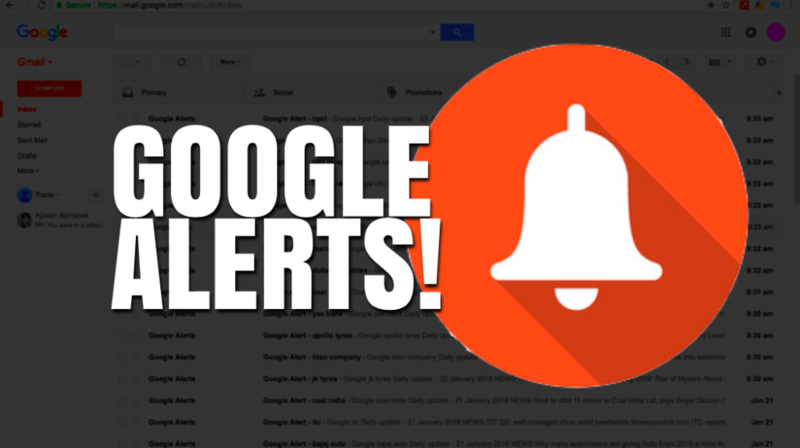 In simple words, if you set an alert for any company on google alerts, then Google will send you all the important news published on the web related to the company directly in your email. 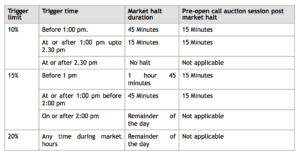 Also read: 3 Simple Tricks to Stock Research in India for Beginners. These alerts have made my life a lot easier as in order to monitor the stocks, all I need to do is to go through the mails. Moreover, even if I miss reading few emails someday because of any reason, I’m relaxed that I can read them anytime when I’m free. 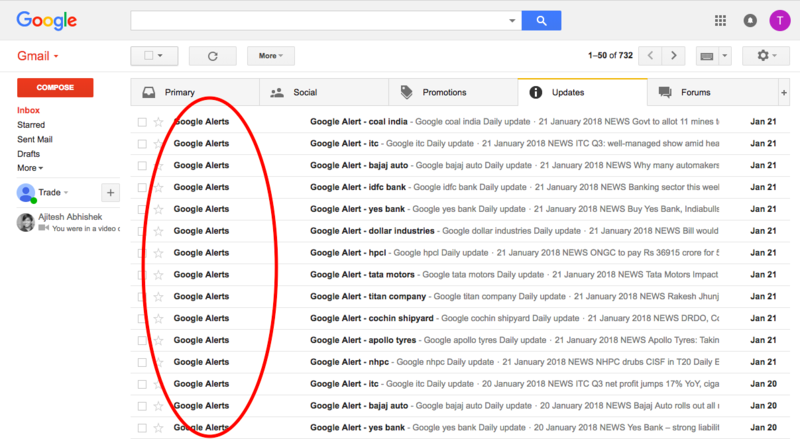 What’s the best point of using google alerts is that unlike newspapers or financial websites where you have to search for all the important news related to your stocks, google alerts directly deliver the relevant news to your email. No time wasted!! Further, if you missed any news on the financial websites or web, it’s too hard to track it back or re-read the news after few days. There are tons of news published every day and it’s really difficult to find the news that you missed long back. Because of all these reasons, I use google alerts to monitor my stock portfolio. 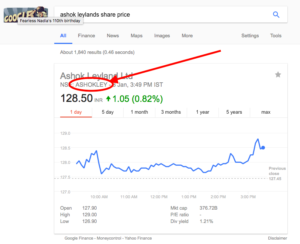 I will highly recommend you to set google alerts for the stocks in your portfolio to monitor them easily. Log in to your google account. If you do not have one, then sign up to create a new account. 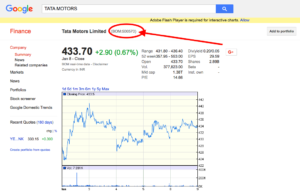 Search ‘GOOGLE ALERTS’ on google. Add the list of the companies you want to track by entering it in the box. 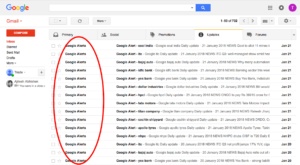 Note: No matter how many google alerts you set for the companies you are investigating or already invested, however, if you do not check your emails regularly, then there’s no point setting the alerts. 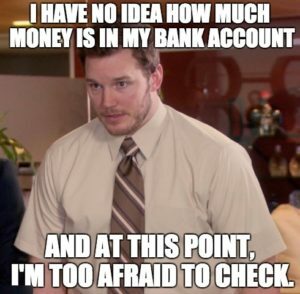 In such cases, where you do not check your emails daily, stick to the traditional way of monitoring your portfolio by reading financial websites/magazines/newspapers etc. 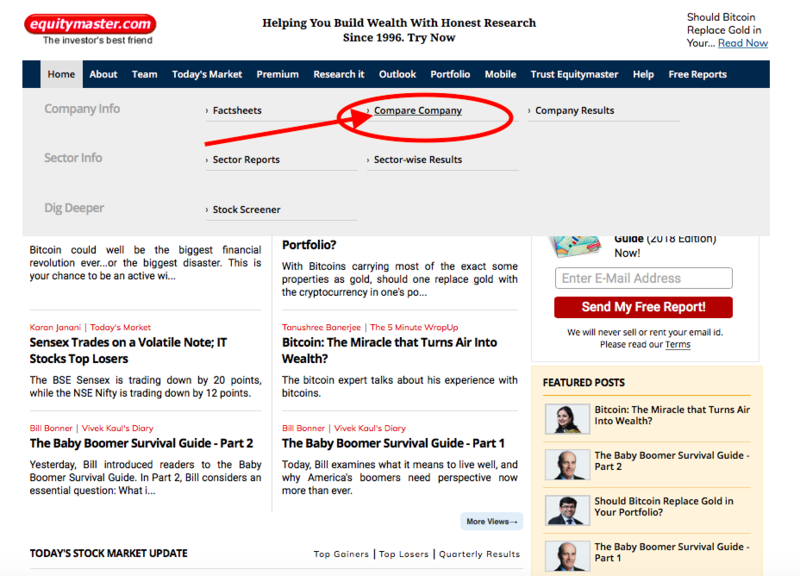 Apart from the google alerts, I also study the financial websites and newspaper every day in order to carry out new stock research or to remain updated with the latest happenings. Google alerts are a good tool for monitoring your portfolio, however, when you’re researching the stocks, you have to put lot more efforts. That’s all. 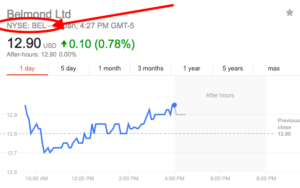 This is how simple it is to set Google alerts and monitor your stocks. 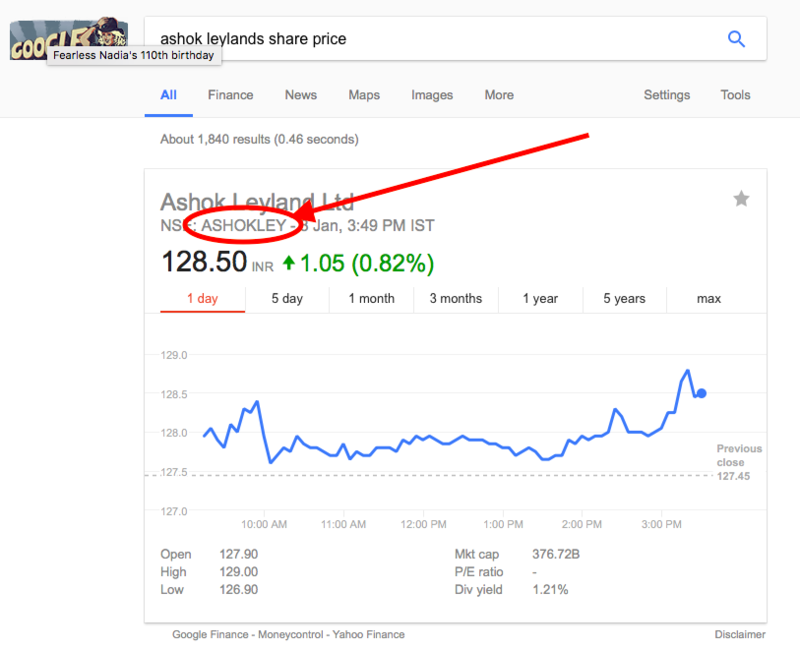 I hope this post on “How to use google alerts to monitor your portfolio?” is useful to the readers. If you need any help regarding setting google alerts, please comment below. I’ll be happy to help you out. 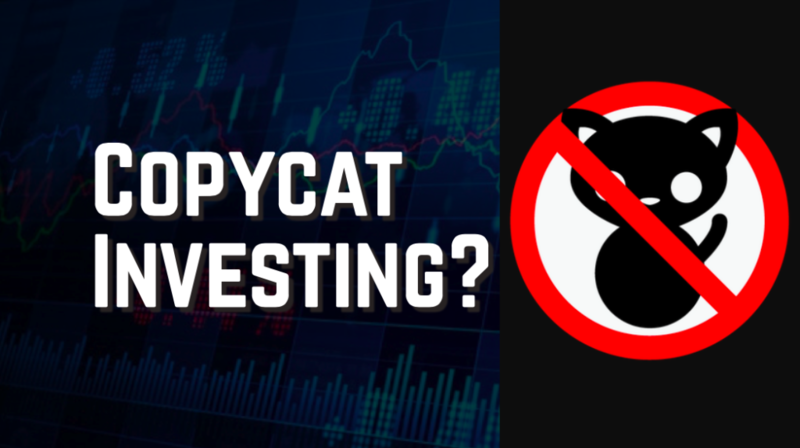 Investment vs Speculation: What you need to know? Suppose there are two people – Rohan and Rahul, who wants to buy a milk distribution business and both have several options available in their locality. However, both Rohan and Rahul, follow a different approach. Rohan goes and visits the owner of the business. He discusses the business- how it works, how are the sells, how much profit the business generates in a year, how many vendors they have etc. Next, Rohan studies the financial statements of the company. He analyses the assets and liabilities of the companies balance sheet. Then, he studies the year wise revenue and profit generated by the business through the Income statement. He also looks at the net cash flow of the business from the cash flow statement. Overall, Rohan analyses the business for weeks and comes to a decision of buying that business. On the other hand, Rahul heard from somewhere that the prices of milk are going to rise in the future. In order to not miss the opportunity, he buys some milk distribution business with expectations that the milk prices will rise soon and he will make good profits from his business. What do you think? Who will get better and consistent returns from his investments? Rohan or Rahul? Yes, you are right. !! Rohan! Why? That’s what we are going to discuss in this post. The difference between investment vs speculation is amazingly described by Benjamin Graham, the father of value investing, in his book “THE INTELLIGENT INVESTOR”. You must thoroughly analyze a company, and soundness of its underlying business before you buy its stock. And you must expect adequate returns, not extraordinary performance. On the other hand, speculations are those which doesn’t go through proper analysis, do not consider the safety of principle and expects inadequate returns. An investor properly analyses the worth of the stock based on the value of the business before investing. On the other hand, a speculator gambles that a stock will go up in price based on just the market price. If the market price of that stock is not available, the speculator won’t make any decisions. For the investment, returns are stable and recurring. 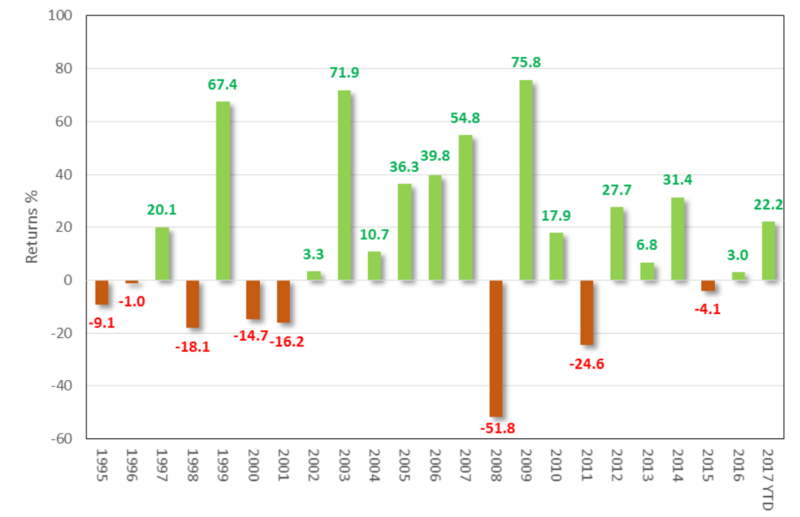 On the other hand, the returns of the speculators are uncertain and erratic. Investors have a modest return expectation from their investment while speculators have an unrealistic high return expectation. Investors buy with an intent of receiving returns along-with safety of their investments. Speculators buy assets with an intent of making profits. Why do people speculate in the stock market? Speculating is nothing new to the financial world. For generations, people have been speculating in casinos, horse-race or gamble among each other in expectations to make quick high returns. 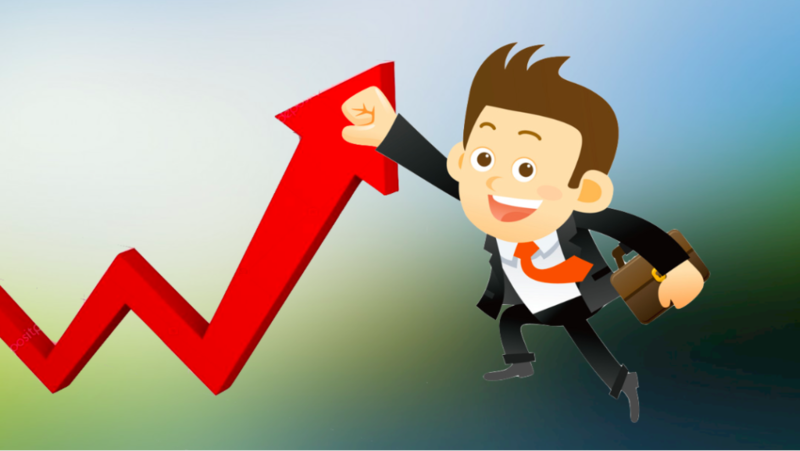 People speculate in the stock market because it is exciting and sometimes can be rewarding. Nevertheless, most of the wealth created by speculations are temporary and moreover, non-repetitive. In most of the cases, this happens only when the people get lucky. But, are you? 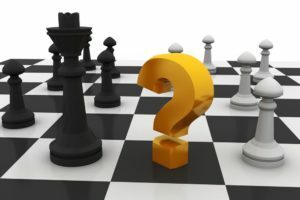 Why speculating the in the stock market is dangerous? 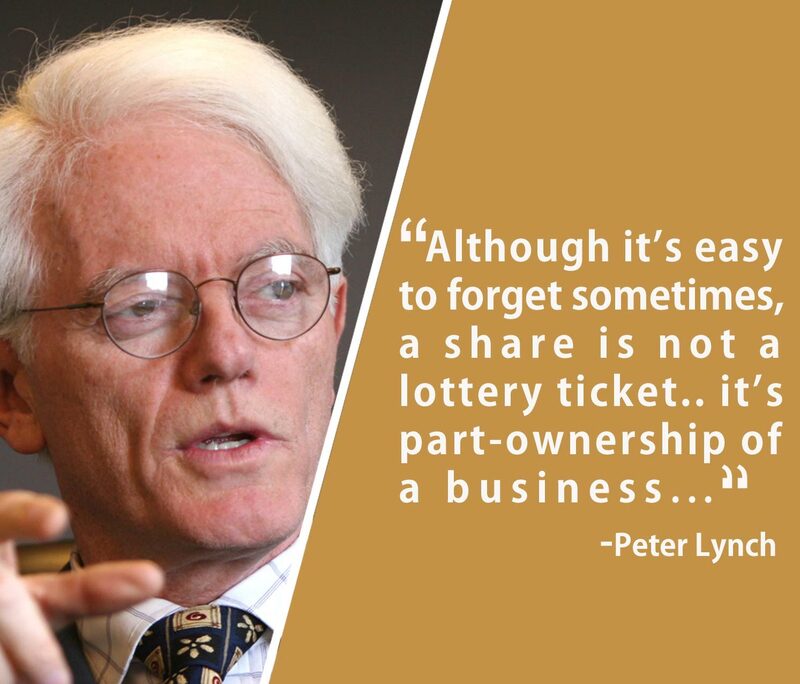 Just like casinos or horse racing bets, the share market is also not made to profit the common people. 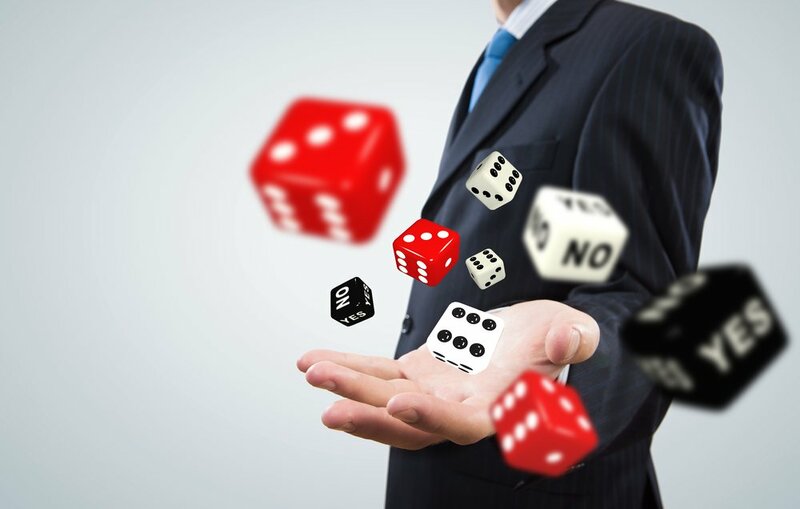 If you take the case of any casino, it is made in such a way that the house always wins and snitches the money from the majority of the people (if you do not count few of the lucky ones). In a similar manner, the stock market is also made in such a fashion that if you are speculating in the market, the winners are always the brokers, stock exchange or the 5% of the intelligent investors. Most people think that the best way to test of an investment technique is simply to find out whether it “worked” or not. 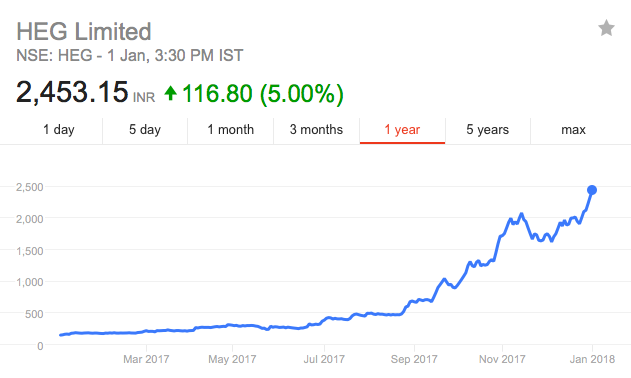 If it worked, then people conclude that their investment technique was ‘right’, no matter how dumb or dangerous that investing tactics was. Nevertheless, for building a wealth over the long term, you need a reliable technique. Just because it ‘worked’ this time, doesn’t guarantee its future performance. Being temporarily ‘right’ won’t help you much over the long term if your technique is not sustainable. 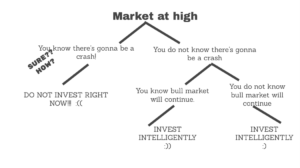 Thinking that you’re investing when you’re actually speculating: There are a number of people who don’t know how to pick a fundamentally strong company or how to invest systematically in the market. That’s why, many a time, they are convinced that they are investing, whereas in actual, they are speculating. Speculating become more dangerous when people get seriously involved in it. Going to casinos one or two times a year, won’t hurt you much. However, if you start taking it seriously and start visiting regularly, then the rest is all up to your fate. Similarly, speculating in the stock market by getting seriously involved is quite dangerous to you, both financially and emotionally. No strict limit to the amount of speculations: Even the best gamblers take a limited amount of money to the casino floor and keep the rest of their money safe in their locker. Not everyone can be a conservative investor. However, if you are planning to take speculative risks is expectations of amazingly high returns, be it a small part of your total portfolio. Fix a maximum permissible amount, say 10%, to put for your speculations. Both investing and speculation involve risk and reward. However, the investors are interested in making returns with the safety of their investments and hence reaches to their decision only after a proper analysis. On the other hand, speculators care more about profits, ignoring analysis, safety, and adequate return expectations. 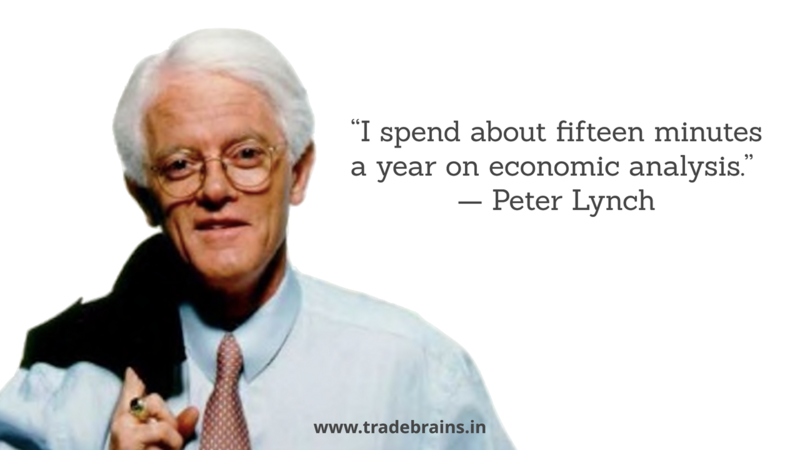 If you want to get consistent returns from the market then you should start investing instead of speculating. Speculating in the stock market is the worst way of accumulating wealth. 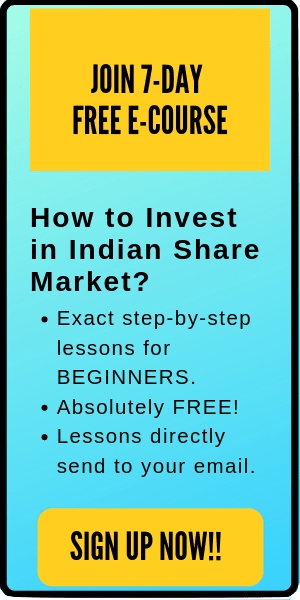 If you are new to stocks and want to learn how to invest in Indian stock market from scratch, then here is an amazing online course: INVESTING IN STOCKS- THE COMPLETE COURSE FOR BEGINNERS. 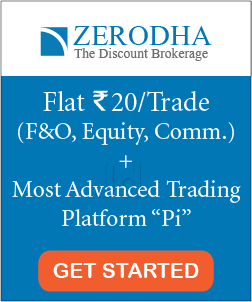 Enrol now and start your share market journey today. 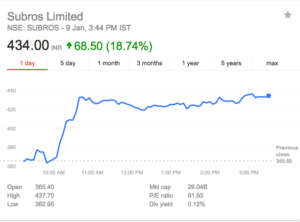 3 Best Ever Stock Screeners For Indian Investors. There are over 5,500 companies listed on Indian stock market. 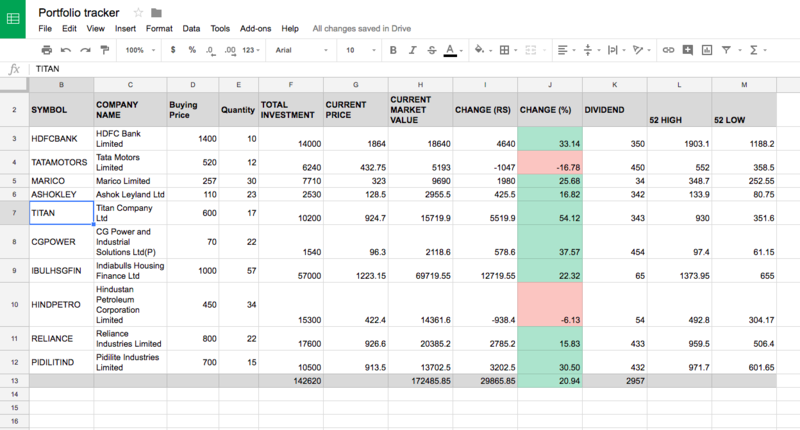 While investigating for good companies to invest, if you start reading the financials of each and every single stock, then it might take years. Moreover, it doesn’t make sense to read the balance sheet, profit & loss statements or cash-flow statements of all the listed companies, if you can filter them out based on just a few preliminary filters like debt or growth rate. And that why stock screeners can be a very useful tool for the investors (and traders) to reduce lots of hassle. 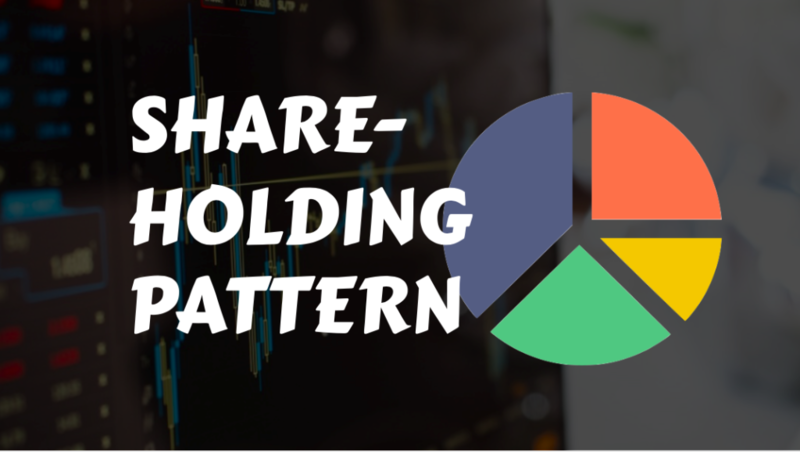 In this post, we are going to discuss 3 best stock screeners that every Indian stock investors should know. A stock screener is a tool to shortlist few companies from a pool of all the listed companies on a stock exchange using filters. 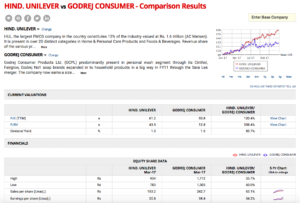 The investors specify the filters and the stock screener gives the results accordingly. 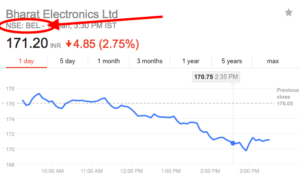 Price to earnings is between 10 to 25. Then, you can apply all these filters in a stock screener to get the list of the companies which fulfills the above criteria. Stock screeners are very useful as it can save you a lot of time. You do not need to go through all the listed companies to shortlist few good ones. You can just apply the basic filter to get the list of few good ones that you want to investigate further. 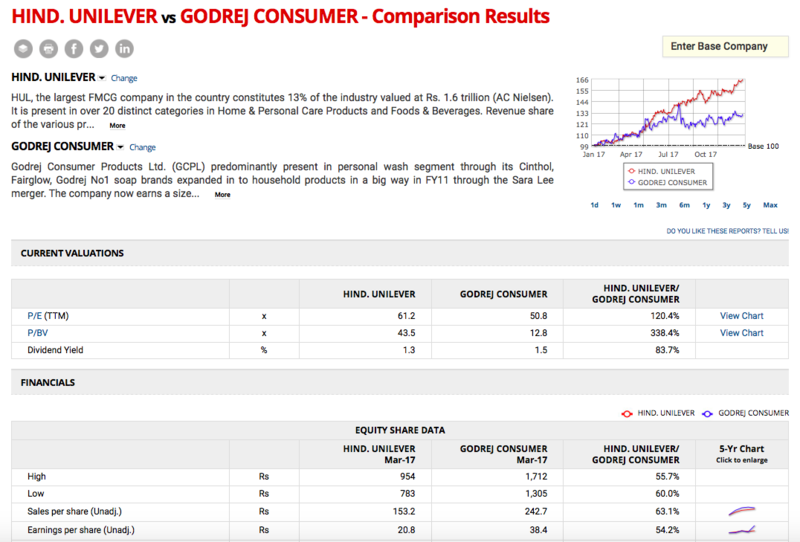 Overall, the stock screener will help you to find good performing stocks according to your specifications with a single click. Here is the list of the 3 best stock screeners for Indian stocks that every Indian investor should know. Further, please read this post until the end, as there is a bonus in the last section. 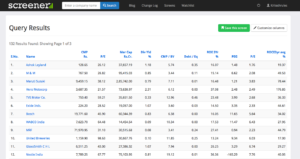 The screener is a very simple yet powerful website for stock screening. 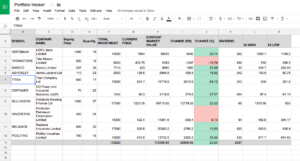 The query builder of Screener allows the user to apply a number of filters to shortlist stocks based on PE ratio, market capitalization, book value, ROE, profit, sales etc. The results of the stock screener can be customised and moreover, the screen can be saved for the future use. 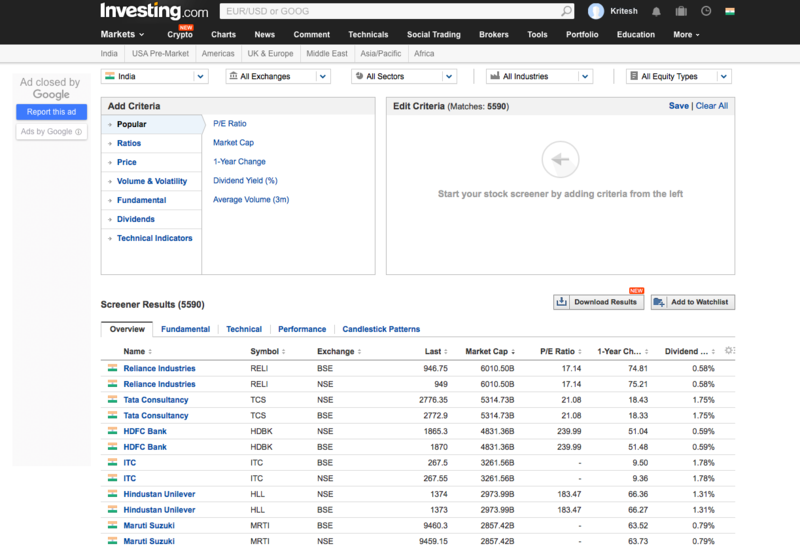 Investing is also a very powerful website for stock screening. 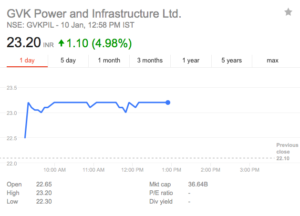 You can find the list of all the companies trading on NSE and BSE here. 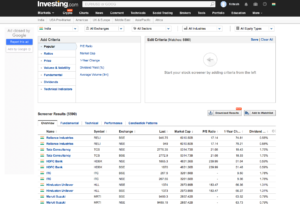 There are a number of filters available on INVESTING for screening the stocks like ratios, price, volume & volatility, fundamentals, dividends and technical indicators. Moreover, it’s a very useful site if you follow the top-down approach. You can select the industry which you want to research about and then apply a number of filters like PE, P/Book value, ROCE etc for shortlisting the best stock in that industry. For example, if you are studying the chemical industry, then simply select this industry option. You will get the list of the companies in this industry. Next, you can apply different filters for screening the best one, according to your preference. 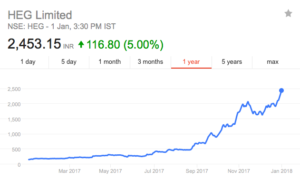 I have explained in details how to use ‘INVESTING.COM’ and ‘SCREENER.IN’ for effective stock screening on my online video course- HOW TO PICK WINNING STOCKS? Feel free to check it out. The course is currently available at a discount. 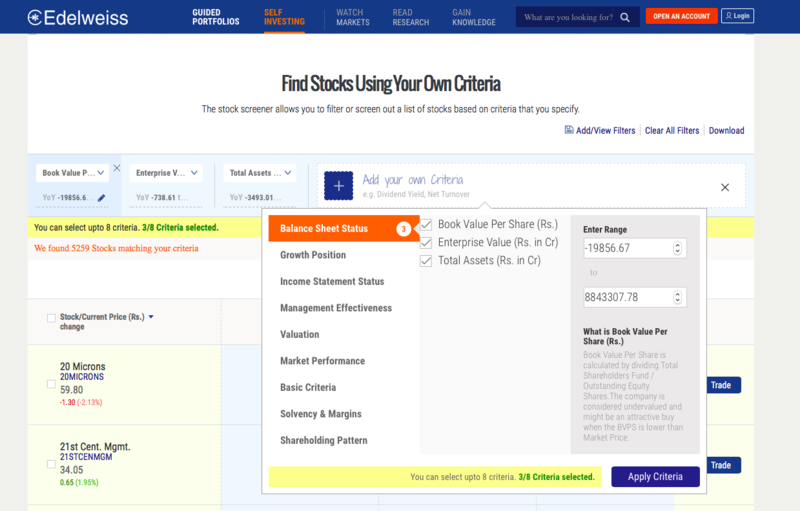 Edelweiss is another simple stock screener which has lot more criteria to filter companies based on valuation, market performance, shareholding pattern, management effectiveness etc and to apply these filters on the same tab to find specific stocks. The filters are easy to use and the results are customised & downloadable. As always, I never end a post without some bonuses. 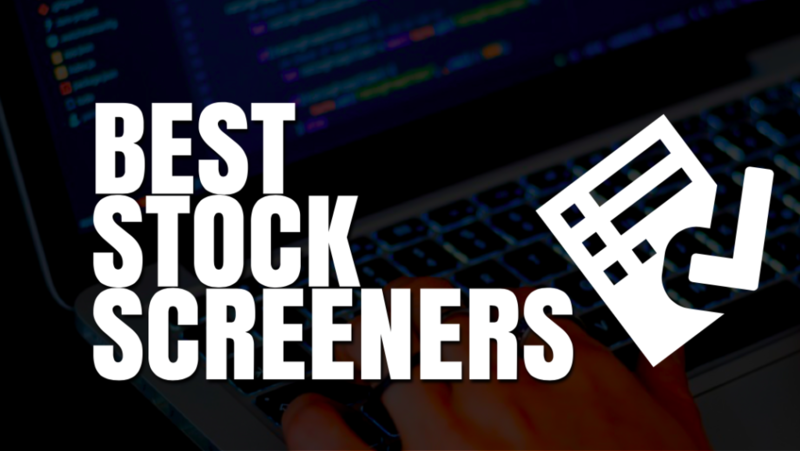 Here is the list of few other useful stock screeners that you should also know. That’s all. 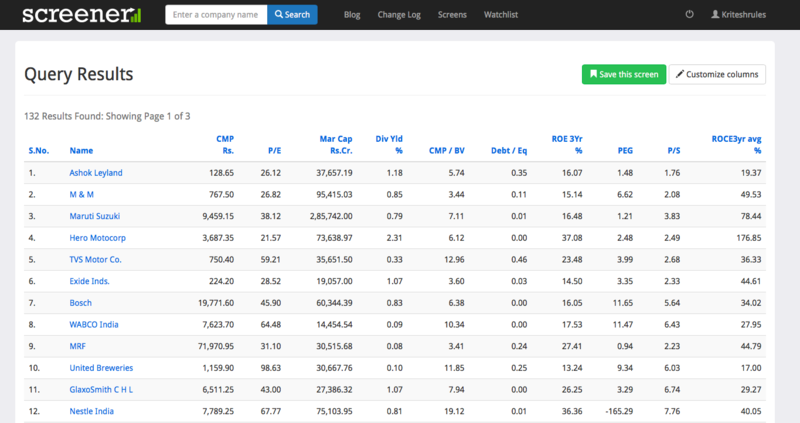 I hope that this list of the best stock screeners for Indian stocks is useful to you. If I missed the name of any other useful stock screener that deserves to be on this list, feel free to comment below. I’ll add them to the bonus section above so that the readers can get more benefits. The Dhandho Investor- ‘Heads I win, Tails I don’t lose much’. Recently, I was traveling from Pune to Mumbai, a 3+ hour journey by bus. It was a beautiful journey with good scenery by the window seat and a decent road. But what made it even better was re-reading one of my favorite book on Investing- The Dhandho Investor’ by Mohnish Pabrai. I choose to read this book because it is just 208 pages long and I was sure that I can read the book completely in one sitting. The book is very insightful and one cannot put it down once he had started reading this book. 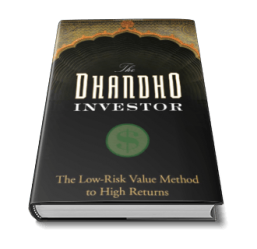 In this post, I’m excited to give you the review of the same book- ‘The Dhandho Investor’ by Mohnish Pabrai. Mohnish Pabrai is an Indian-American Investor, businessman, and Philanthropist. He is the Managing Director of Pabrai Investment funds, an investment fund based on the similar model to that of Warren Buffett’s Partnerships in the 1950s. Since inception in 1999, this investment fund has given an annualized return of over 28% and hence has consistently beaten the S&P 500 Index. Dhandho is a Gujarati word, which means ‘Endeavour that creates wealth’. In simple words, a dhandho investor is a ‘wealth creator’. This is the central concept of this book. Moreover, Mohnish Pabrai’s idea to invest in businesses with low risk and high returns makes perfect sense. Isn’t the main aim of any investment is to get the maximum returns with minimum risks? Mohnish Pabrai explains this concept with the help of a few case studies in the first few chapters. Here, he explained different successful investor who followed this low-risk framework to get the highest returns. The case studies include the stories of Patels (who own over $40 billion in the motel assets in the United States), Richard Branson of Virgin Company, Laxmipati Mittal of ArcelorMittal- world’s largest steelmaking company and few more. These stories presented in the book are really inspiring and broadens the reader’s eyes towards low-risk investing. I won’t go into detail about these principles here, as it will kill the fun of reading the book. Nevertheless, you have already got the basic idea of this framework. 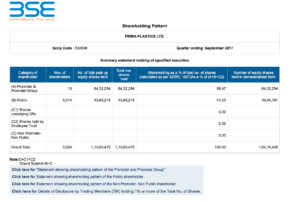 What did I like about the Dhandho Investor? The principle that I liked the most is ‘Few bets, big bets, and infrequent bets’. 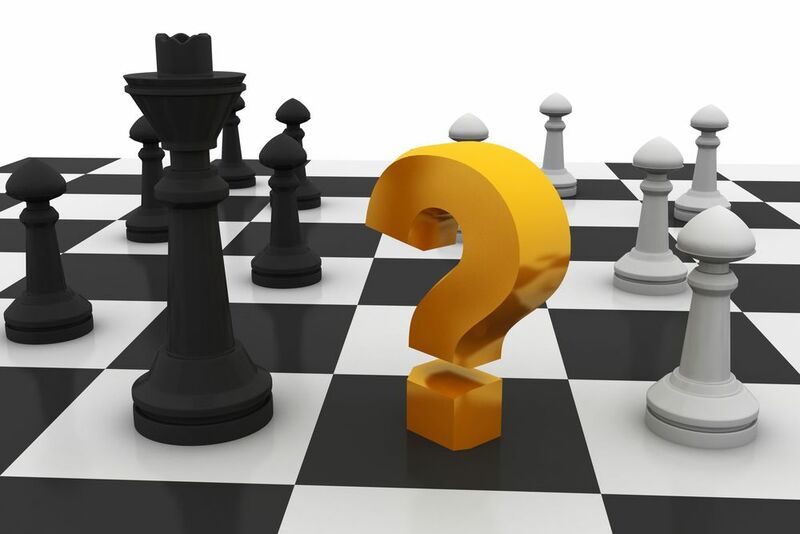 Here, Mohnish Pabrai suggests that every once in a while, you’ll encounter overwhelming odds in your favor. In such times, act decisively and place a large bet. These are the adjacent scenarios of “Heads I win; tails I don’t lose much”. The Dhandho Investor is an amazing book to deepen the basics of value investing principles. The book is quite simple to read and complex investing principles are simplified in an easy-to-understand manner. The Dhandho framework mentioned above helps in investing in low-risk businesses with high returns. Overall, it’s a great read. I will highly recommend you to read this book to learn the principle of ‘low risk and high return’. You can buy this book on Amazon here. That’s all. 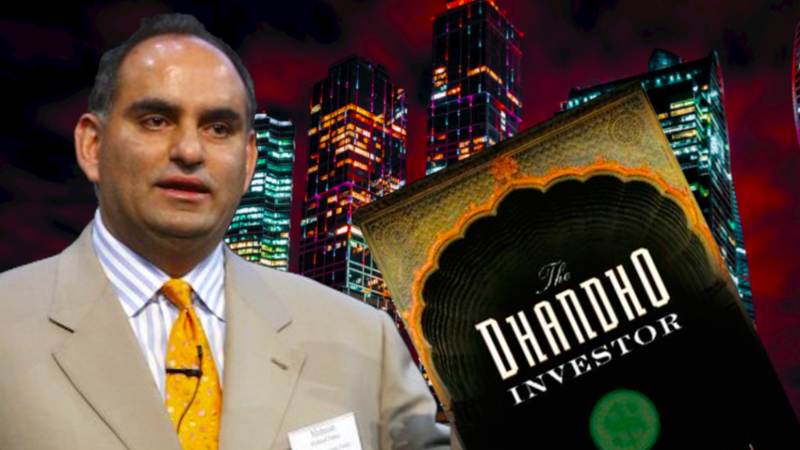 I hope this book review on ‘THE DHANDHO INVESTOR’ by Mohnish Pabrai is useful. 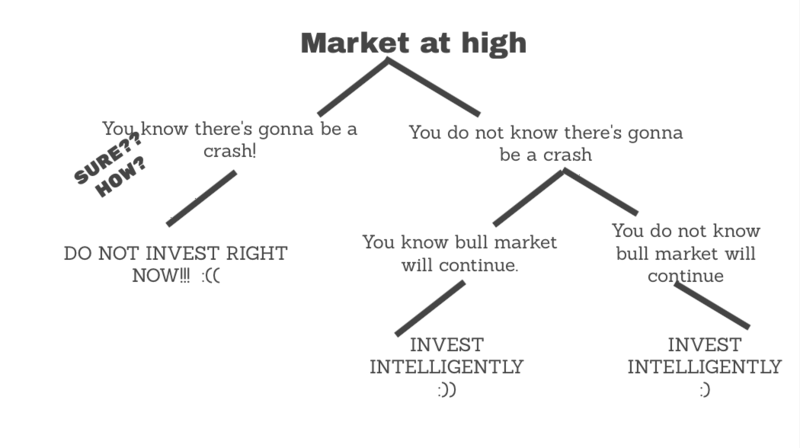 Happy Investing. Not having enough savings in the bank account is one of the biggest problems that majority of people are facing in India. Especially the youth. Living on pay-check to pay-check and relying on the credit cards to pay even for the basic amenities of life is a common scenario nowadays. But how can we solve this problem? How can a salaried employee save enough money to buy his dream car or dream house, without being a cheapskate or without cutting money on coffees? The answer is simple. I’ve been implementing this solution for a long time since the pocket money’s in my college days to the paycheck that I get from my first job. Now, this is not a new concept and in no way, I want to take credit for sharing this notion. I read this concept for the first time in the book ‘THE RICHEST MAN IN BABYLON’ by George Clason. Then I found the same concept of saving money in Robert Kiyosaki’s book ‘RICH DAD, POOR DAD’. If you haven’t read the book ‘The Richest Man in Babylon‘, I highly recommend you to read this book. It is one of the best classic personal finance book that I have ever read. 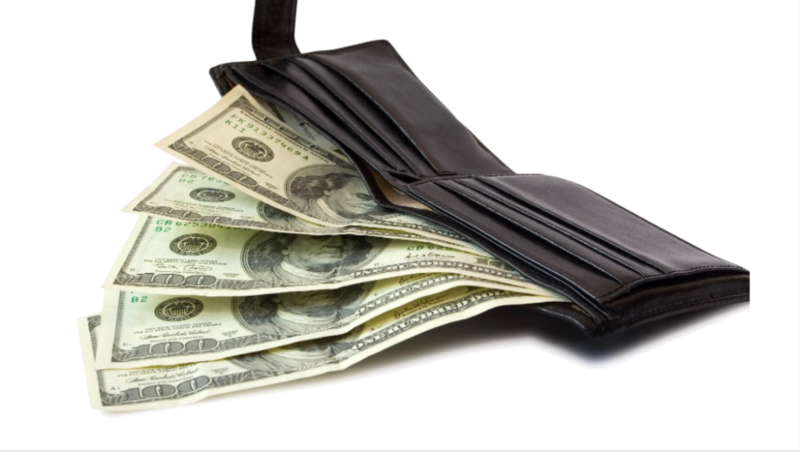 Keep a fixed part of your salary for yourself. Say you keep 3/10 or 30% of your salary for yourself only. You are not giving this to your landlord, or to the automobile company for your bike/car EMI, or to Dominos to eat a pizza or to anyone else. You keep this money only to yourself. Nonetheless, you can spend the rest 70% of your salary in any way that you want. I am not asking to not to go to a party or to eat in the cheap restaurants or not to renew your Gym membership. Enjoy your life. Saving few bucks by not drinking a cup of tea/coffee won’t make you a millionaire. Just do not party with your 30% share of income that you kept for yourself. You have earned this money after a lot of hard work and you deserve to pay yourself first. Keep this money with you only. It’s not your liberty, it’s your right. Quick note: Saving money is just the beginning. If you want to become a millionaire, you have to start investing in the right way. Nevertheless, how to invest is a topic to discuss in another post. In this post, I just want to focus only on the first step to get rich. And this can be done by saving money. You can’t invest if you do not saved first. That’s all. I hope this solution to save money for salaried employees is helpful and you can also start saving from today. The little book that beats the market is a classic value investing book, which was originally written in 2005. This book educates a magic formula, which is simple yet effective and if patiently practiced, then is guaranteed to make profits in long run. Joel Greenblatt is an American investor, hedge fund manager, and a writer. He started an investment company named ‘Gowtham capital’ in 1985. This firm has given an impressive 40% annualized return for a duration of 20 years from 1985 to 2006. 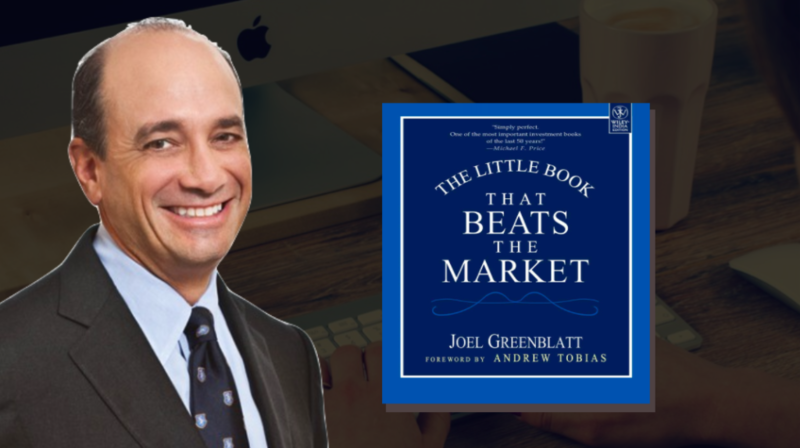 Joel has dedicated the book ‘The little book that beats the market’ to his children and hence is written in a simple story-telling format, which anyone can read and easily understand. ‘The little book that beats the market’ became an instant best-seller when published and over millions of copy of this book has been sold. Joel is a long-term investor and generally holds the stocks for more than a year in his portfolio. He believes that the market can be erratic in short term, however, for the long-term stock market is quite efficient. In addition, Joel has also created a website for magic formula investing which you can visit here. The book focuses on a magic formula which is based on two financial ratios- Return on capital and Earnings Yield. ROC = EBIT/ (Net working capital + Net Fixed capital). Here, ROC is the ratio of the pre-tax operating earnings (EBIT) to tangible capital employed (Net working capital + Net fixed capital). Joel Greenblatt has described why he used ROC in place of the commonly used financial ratios like ROE (Return on equity) or ROA (Return on assets). This is because, first of all, EBIT avoids the distortions arising from the differences in tax rates for different companies while comparing. Second, net working capital plus net fixed capital is used in place of fixed assets as it actually tells how much capital is needed to conduct working of the company’s business. Return on capital tells how efficient the company is in turning your investments into profits. Here, enterprise value is the market value of equity (including preferred shares) + net interest – bearing debt. Earning yield how much money you can expect to make per year for each rupee you invest in the share. Overall, ROC tells how good is the company and Earning yield tells how good is the price. 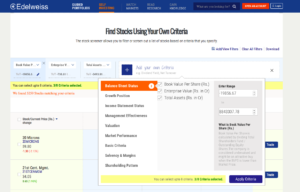 Find the earning yields and return on capitals of the stock to evaluate stocks. Rank the companies according to the above two factors and combine them to find the best companies for investment. Have patience and remain invested for the long term. Lack of patience is why people fail to implement the magic formula. How to use magic formula? Find the Return on capital (ROC) and Earning yield (EY) for all the companies. Sort all the companies by ROC. Sort all the companies by EY. Invest in top 30 companies based on the combined factors. 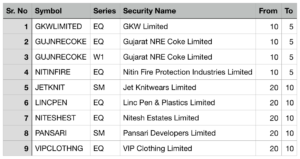 Here, we try to find the companies with lowest combined factor rank. For example, for company A, although it ranks 1 for the Return on capital. However, its earning yield rank is quite low and that’s why it’s combined rank is quite high. On the other hand, for the company E, both ROC and EY rank are decent and hence its combined rank is good for investment. Joel Greenblatt has researched on the top stock picks using this magic formula and found consistent good returns over long term. The little book that beats the market is a nice read and an excellent place to start reading if you have never invested in stocks before. The book is written in a very simple language and the concepts described in the book are time-tested. You might think that why should I read the book when I have already given you the magic formula. This is because I have just explained a single chapter from the book. Think how much knowledge you can gain by reading the entire book. Moreover, as the name of the book suggests, it’s a very little book with just 179 pages. You can easily read the book over a weekend and strengthen your financial concepts. I highly recommend you to read this book, especially if you are a beginner. You can buy the book from Amazon. Here’s the link. That’s all. 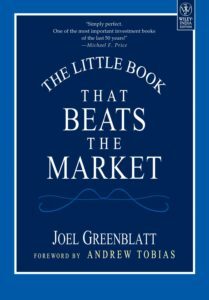 I hope that this post on ‘The Little Book That Beats the Market Book Summary’ is useful to the readers. Do comment below which is the best share market book that you have ever read. New to stocks? Here’s an amazing online course for the newbie investors: INVESTING IN STOCKS: THE COMPLETE COURSE FOR BEGINNERS. Check it out now! Porinju Veliyath is one of the most well-known investor and fund manager of the recent times in Indian stock market. He runs a portfolio management firm ‘Equity Intelligence‘. Porinju is known to invest in lesser know companies with good business. He was named as small-cap czar by economic times. Apart from investing, Porinju is also involved in organic farming. He holds a 10-acre farm outside Thrissur city at Chalakudy village. Porinju Veliyath was born in a lower-middle-class family in Chalakudy village, near Kochi city in Kerala in 1962. He started working at a young age of 16 because of the bad financial condition of his family. They have to even sell their house during that time to pay off their debts. Porinju continued working along with his studies. He earned a law degree from the Government law college, Ernakulam, while working at Ernakulam telephone exchange at a salary of Rs 2,500 per month. Later, he moved to Mumbai in 1990 when he was not able to find a good job. After reaching Mumbai, Porinju joined Kotak Securities as a floor trader. 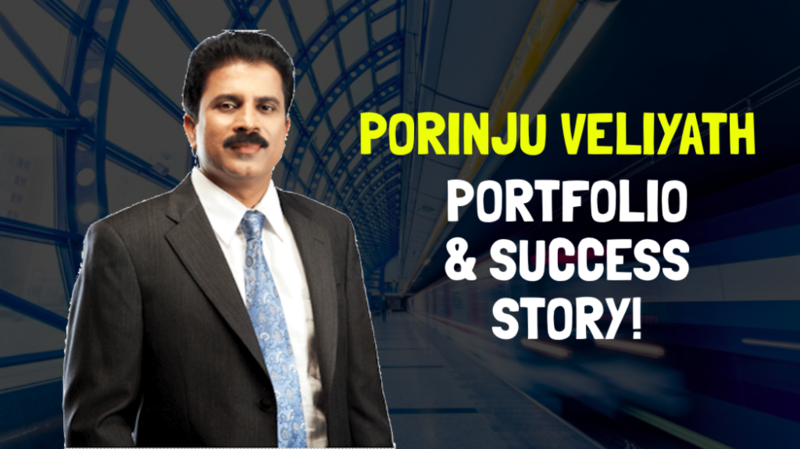 During the 4-years experience at Kotak, Porinju gained a lot of knowledge of share market. In 1994, he joined Parag Parikh securities as a research analyst and fund manager. He worked there for next 5 years. However, in the late 1990s, he because quite unhappy with Mumbai life and finally moved to Kochi is 1999. He then started making investments on his own for the wealth creation and finally started his portfolio management firm ‘Equity Intelligence’ in 2002. Few of the first investments of Porinju Veliyath are Geojit financial services, Shreyas shipping etc. 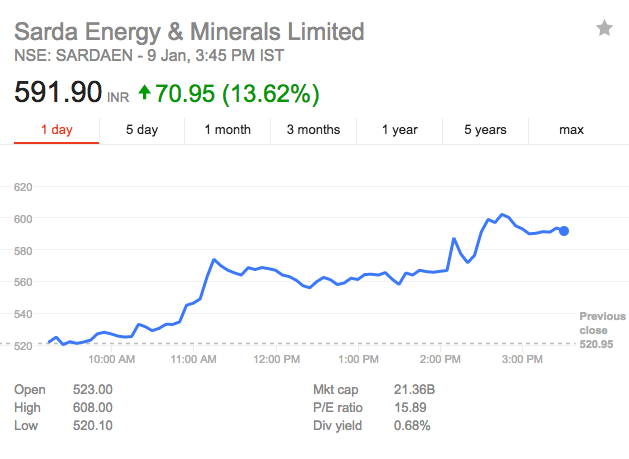 These both stocks turned out to be multi-bagger stocks. Some of his more recent top picks are Jubilant Industries, TCI, NIIT, Force Motors and Alpa Labs. Porinju Veliyath is known as a small cap investor. He believes that if the business is good, investors should not care much about the market capitalization. 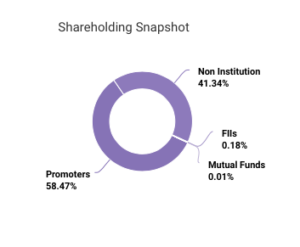 Most of the companies in his portfolio do not pass muster with large institutional investors, however, has given him multiple times returns. 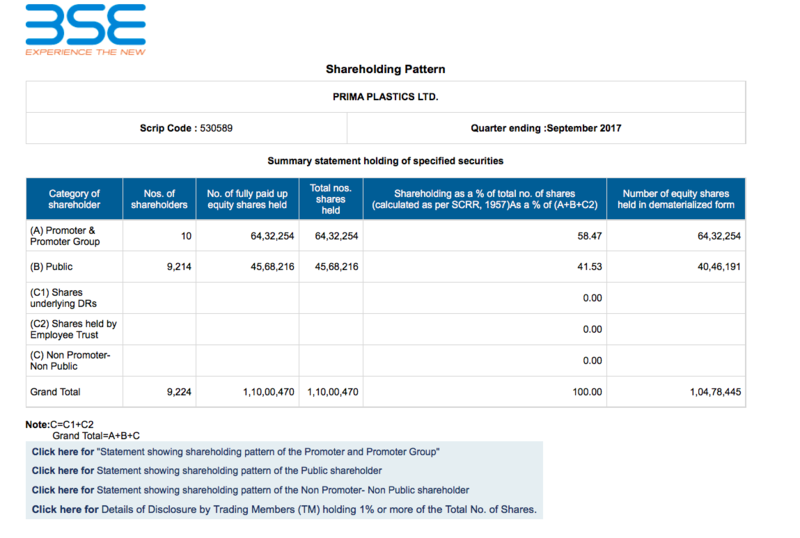 Here is the latest Porinju Veliyath stock portfolio. Most of the stocks in his portfolio are small stocks. Therefore, do not be surprised if you haven’t heard the names of the most of these companies earlier. While the portfolio of most of the big investors is filled with common names, the Porinju Veliyath stock portfolio consists mostly of lesser-known stocks. Nevertheless, from Porinju Veliyath stock portfolio, you can learn that every successful investor has their own strategy and there is no fixed strategy to create wealth and achieve success in the stock market. That’s all. I hope you have found the Porinju Veliyath success story inspiring. Want to learn how to select good stocks for long term investment? Check out our amazing online course: HOW TO PICK WINNING PICKS? The course is currently available at a discount. If you want me to cover the portfolio or success story of any other successful stock investor, do comment below. 2017 has been a good year for the Indian share market investors. The benchmark index nifty has given an astonishing return of 28.75% in 2017. Many of the investors have been able to beat the market and had multiplied their wealth in this time period. 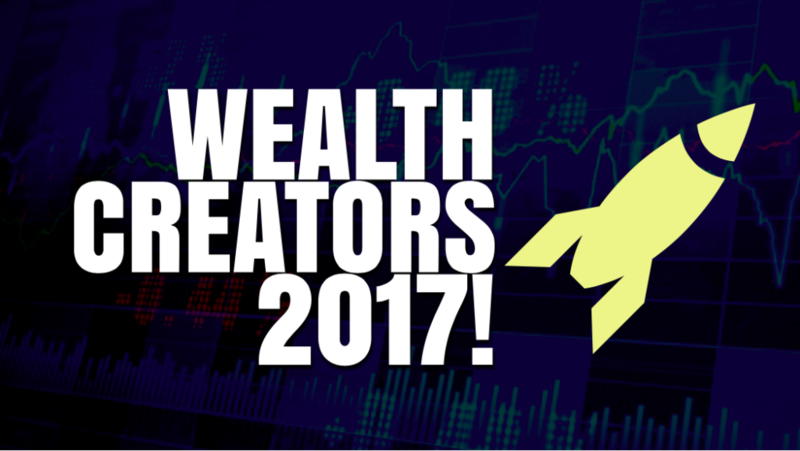 In this post, I’m giving you the list of top 21 biggest wealth creators of 2017. Four of the shares from this list has given over 1,000% returns. HEG Ltd tops this list with giving 1,450% return to its investors in a single year. Disclaimer: This post is just for informational purpose and should not be taken as any kind of stock recommendation. Please study the stocks before investing or take the help of your financial advisor. Seeing the magnificent returns from the market in 2017, the investors are now optimistic towards the year 2018 for even better returns. Bulls seem to continue taking the change in 2018. ‘RICH’ always fascinates the people. The fact that the 5% of the population holds the 95% of the total wealth is really captivating. What engages the people more is why only a certain group of people are able to become rich? There are a certain group of people who achieve financial freedom in their 30s. On the other hand, there are many people who never enjoy the rich life no matter how much hard work they do. Why does this happen? 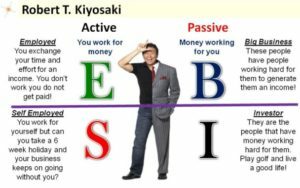 The answer is amazingly described in Robert Kiyosaki’s book- ‘Rich Dad’s Cashflow quadrant’ which I’m going to discuss in this post. Each quadrant has their own advantages and disadvantages. 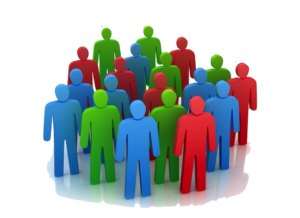 Moreover, our society needs all kind of these people to work efficiently. 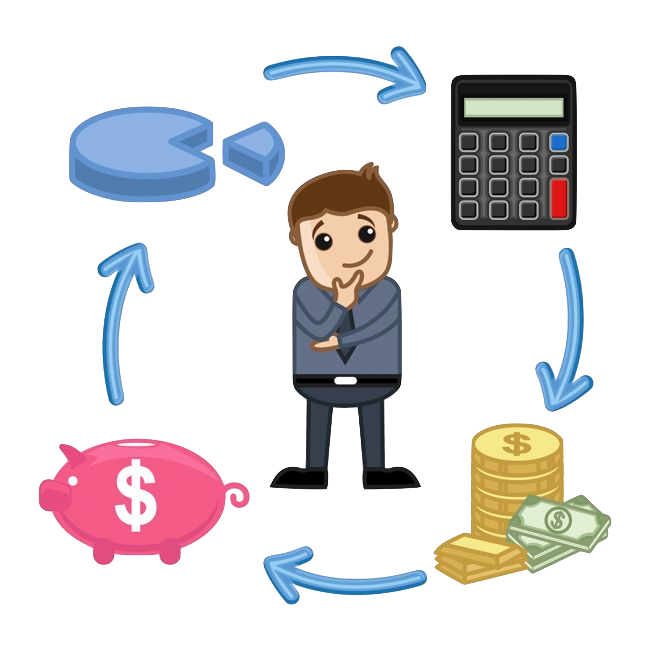 Let’s discuss few of the characteristics of each cashflow quadrant to understand them better. Majority of people work in this quadrant. This is the default way of living and probably the most difficult quadrant to get rich. There is very few proportions of children who get advice to open their own business or to start investing, from their parents. Moreover, our school, colleges, and university are also designed to create employees, who need security, live from pay-check to pay-check and want allowances. For this group of people, job security is more important than the financial freedom. Although you can become RICH working in this quadrant also, however it’s quite tough compared to the other cashflow quadrants. They are sometimes also referred to ‘Solo-People’. They own their job and many a time do all their work as they believe is ‘perfectionism’ and do not trust anyone else with the job. Few examples of self-employed are doctors, lawyers, retail shop owners, small company owners etc. They trade their time for money. As compared to employees, who enjoy the benefits of medical allowances and paid leaves, the earnings of a self-employed are affected in case he fell sick. The self-employed people have to devote more time if they want to earn more. Their income is directly dependent on how much work they can do. In addition, for the self-employed people, their freedom is more important than the financial success. Tagline: “I’m looking for the smartest people in my company”. This is one of the best quadrants to get RICH. This group of people owns the system or process, where people work for them. 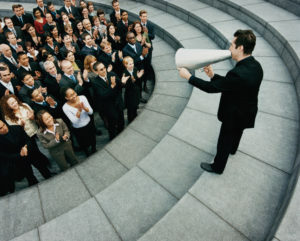 According to Forbes, big companies are the ones with over 500 employees. However, it the recent time, this rule is not completely valid. There are a number of big companies now, which do not require 500 employees to work. For example, WhatsApp is a multi-billion company with even less than 50 employees working there. As compared to self-employed, who can’t stop working if he wants a regular income, the business owners do not need to trade his time with money as he owns the system. Even in their absence, their employee will work for them. Investors are the forth and the highest level of the cashflow quadrant. You cannot jump into this quadrant without being successful in one of the three quadrants discussed above. 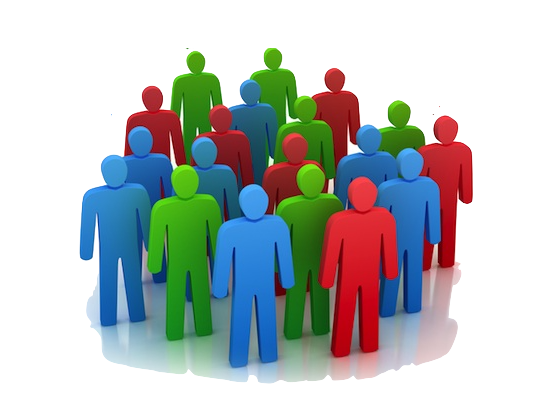 The investors are one of the most financially free group and they make their money work for them. They invest in businesses, stocks, real estates etc. Most of the time, the investors do not need to get directly involved in the working of the business or assets where they invest, and hence they get plenty of time and freedom. 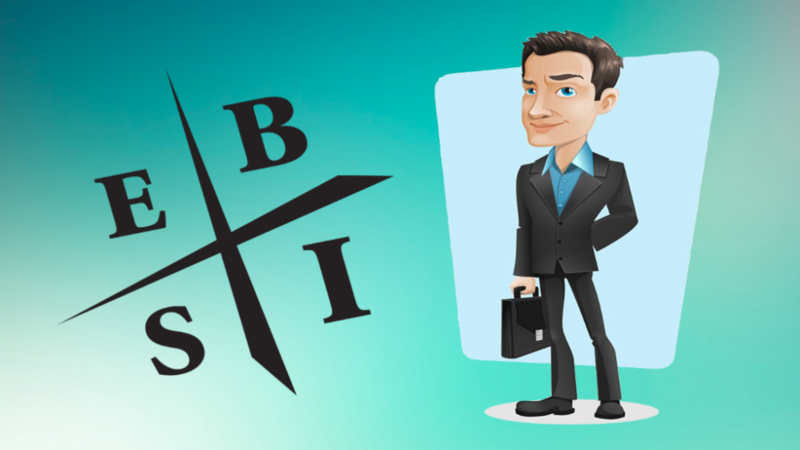 Which side of Cashflow Quadrant should you be? Now that you have understood the core values of people from each of the quadrants, here is a quick difference between the people on the right side and the left side of the quadrant. Their core value is Security. Their core value is FREEDOM. This side consists of 95% of the population with less than 5% of total wealth. This side consists of 5% of the population with more than 95% of total wealth. They trade time with money. Their money is not dependent on time. They make their money work. If you have a job, then you are an Employee (E). If you own a job, then you’re Self-Employed (S). If you own a system/process where others work for you, then you’re a Business owner (B). If your money works for you, then you’re an Investor (I). It’s possible to become rich on all four quadrants or remain poor in any. 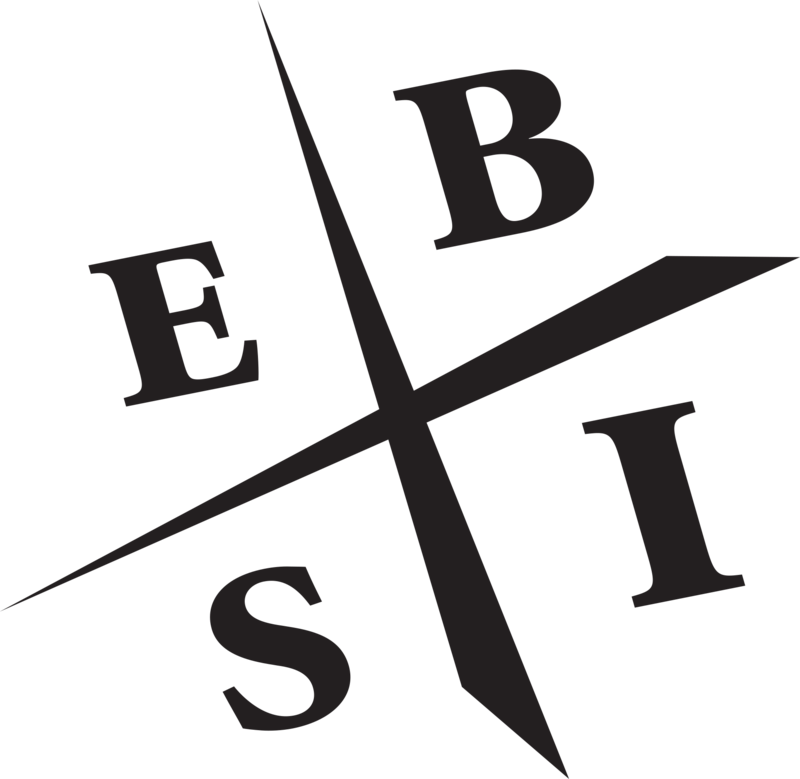 However, it’s comparatively easy and fast to become rich when you’re working on the right-hand side of the quadrant i.e. business owner and investor side. 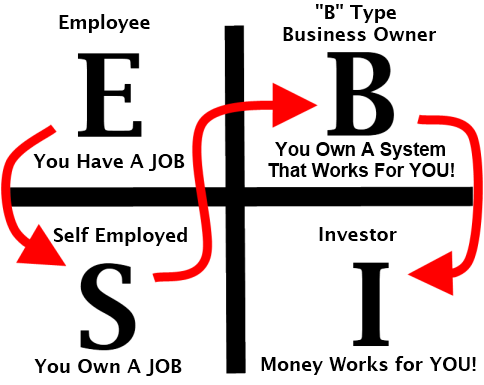 Nevertheless, you do not need to shift to another quadrant entirely at once. You can keep your feet to two or more quadrants. However, the best way to get rich is when you’re entirely on the right side of the cashflow quadrant i.e. you are a “BUSINESS OWNER + INVESTOR”. In addition, when you try to jump quadrants, make sure to learn the new skills and mentality as every quadrant requires a specific skill. 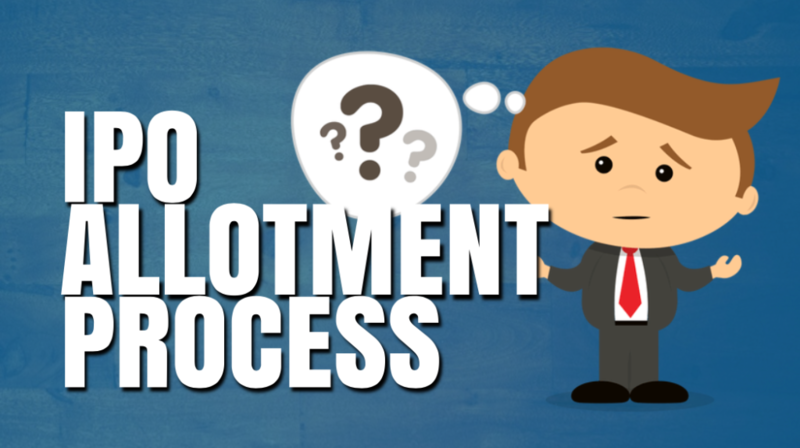 Depending on how long you’re in the last quadrant, it can be pretty tough to jump to next one. Nevertheless, you can always acquire the new skill required to jump to the right side. If you want to join the new rich and ready to start your learn to invest from scratch, feel free to check out my online course- INVESTING IN STOCKS: THE COMPLETE COURSE FOR BEGINNERS. I’m confident that it will kick-start your share market journey. That’s all. I hope this post is useful to you. Do comment below which quadrant you’re currently in and to which quadrant you want to see yourself in future.